Waitakere Tree Services have the skills and equipment for a broad range of removal jobs, and the removal of large and difficult trees are our specialty. 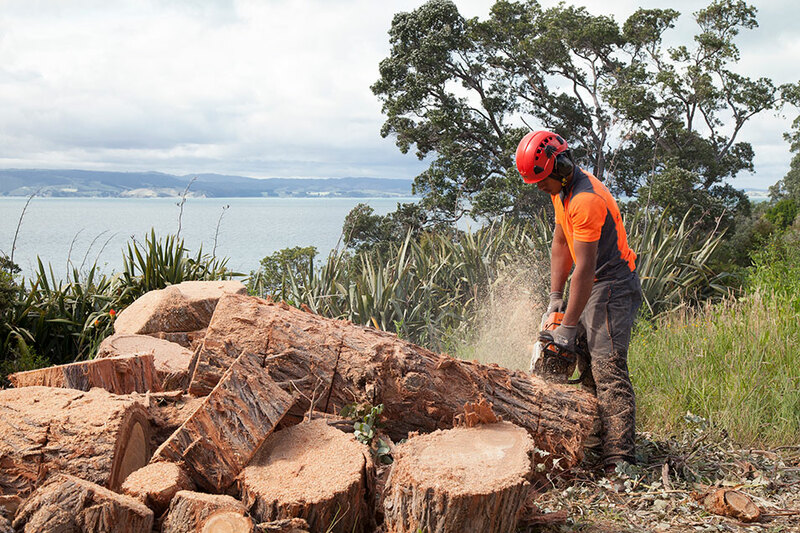 Because we are local, your West Auckland tree removal job will be efficient and on time. Reasons for removal can include the need to protect dwellings, trees or other infrastructure or because a tree has outgrown its position. Disease or storm damage can at times mean that removal is your best and safest option. Our advanced rigging techniques enable the team to work efficiently and protect property while working to remove trees within confined spaces or where machine access is limited.